Bessie Bonehill was born into a poor family in 1855 in West Bromwich and was originally part of a clog dancing act called The Three Sisters Bonehill. 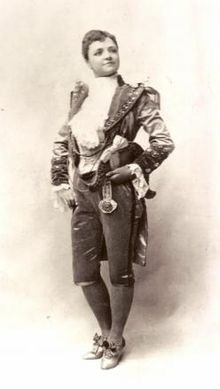 It is said she first started dressing as a young boy in 1862 which would back up her claim to be the first male impersonator in the music hall. 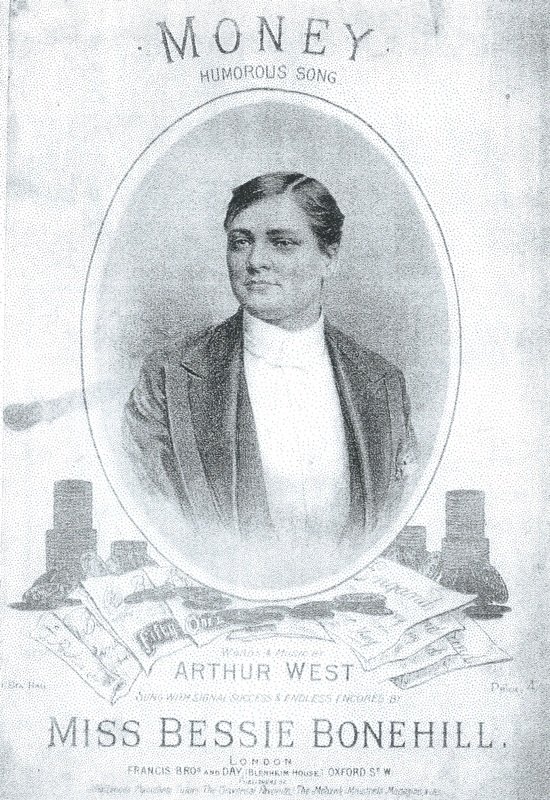 She was a highly paid principal boy in pantomime and became famous on the halls for singing patriotic songs including one entitled ‘Here stands a Post’ in which Bessie was dressed as a young soldier. The song became an instant hit. It was originally sung by Miss Rosa Garibaldi who was the niece of General Garibaldi. Rosa was engaged at the Royal Music Hall, Holborn in March 1878 at a sum of £3 weekly but her voice didn’t go down well with the crowd and she wasn’t asked back for a second week. Bessie adopted the song and had the success denied to Rosa with horse-drawn London buses carrying posters advertising the tremendous success of Bessie Bonehill. Her success continued and she travelled to America to appear at Tony Pastor’s theatre in New York. Apparently she received at least a dozen proposals of marriage a week and was so popular she was re-engaged with an enormous salary increase. However, the Daughters of the American Revolution were not impressed by a woman dressing as a man and tried to have her thrown out of America. In one of her scrapbooks Bessie kept an anonymous note she had received. It quoted this passage from the scriptures; ‘The woman shall not wear that which pertaineth unto a man, for all that do so are an abomination’. It claimed to have been sent ‘in love’. Bessie cut her hair short for her impersonation roles, unlike many male impersonators who wore wigs, which probably helped to fan the flames of righteous indignation. Bessie Bonehill with her short hair. 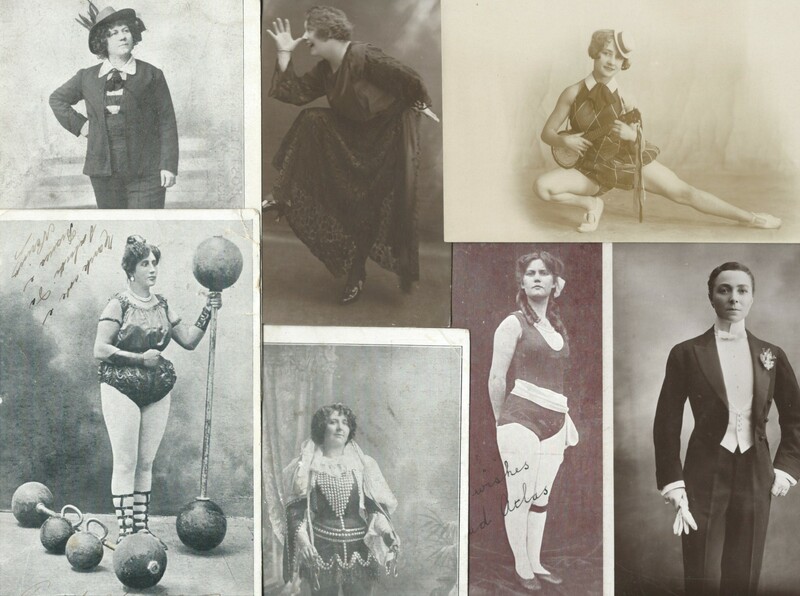 At one point at Tony Pastor’s theatre Bessie Bonehill and Millie Hylton, another male impersonator from the West Midlands, carried out three hundred and sixty consecutive sell-out performances over five weeks with Bessie earning $450 a week. She was an astute business woman and invested in a farm on Long Island which had a fruit farm, granary, dairy and cheese factory. Bessie Bonehill and Millie Hylton were linked in another, less pleasant way. Performers were open to blackmail in those days, with gangs threatening to disrupt their performances if a payment wasn’t forthcoming. Bessie was playing in the pantomime Aladdin in Sheffield when she was followed home by a group of people of the ‘coster type’ who asked for money for the applause they had given her during the evening. They claimed to have been paid by other performers in the past. She refused and on the Saturday evening there was a loud hissing as she began a song. Bessie told the audience what had happened and the would-be blackmailers were removed from the theatre to loud applause. She was accompanied home by a constable every evening in case she was attacked for her bravery. Millie Hylton was not so lucky as she and her brother were attacked on their way home from her performance in a pantomime in Birmingham. The New Zealand Herald tells us they were set upon by two ‘roughs’ and five women. According to the newspaper account her brother was beaten unconscious and the women dragged Millie to the ground, kicked her and made as if to strangle her. She had refused to succumb to the blackmail of paying for applause and the police thought this attack was the would-be blackmailers’ revenge. There is a wonderful photo of Millie Hylton and others waiting for their turn at the Royal Music Hall, Holborn. She is in the middle with a white stick. 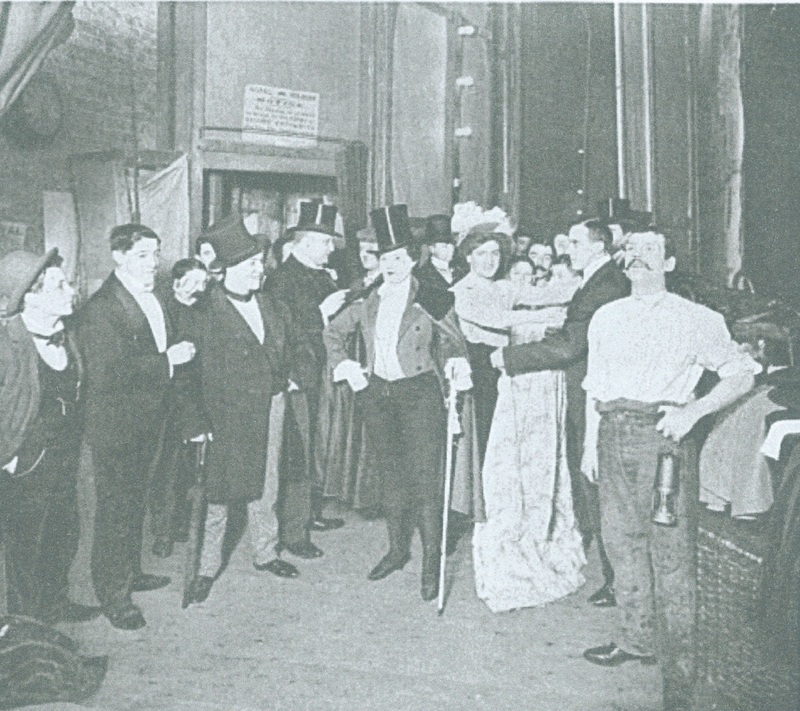 Performers didn’t always get dressing-rooms to wait in and conditions were crowded and rudimentary, particularly for those lower down the bill. This post is a tribute to Richard Bonehill who died in February 1915. We never met but swapped notes about Bessie. Richard published a book called ‘England’s Gem’ – the story of Bessie Bonehill. This entry was posted in Male impersonators and tagged Bessie Bonehill, Millie Hylton on April 25, 2015 by Monomania.